Atmosphere and taste! Our restaurant is open only for our guests. 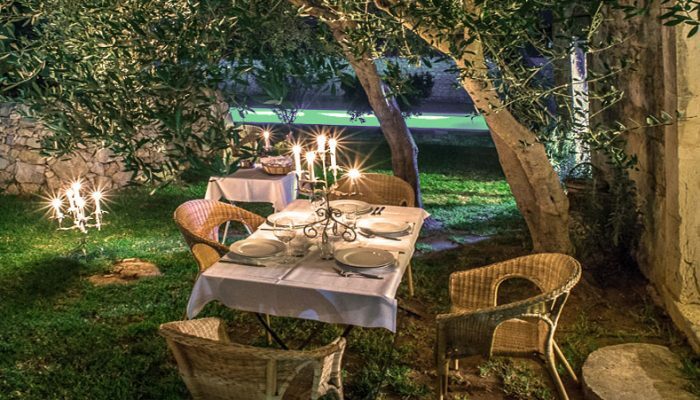 All our dishes are cooked on the basis of traditional Sicilian family recipes. In the past, every aristocratic family had a French chef called “Monsù”, from the French word “Monsieur”, who cooked for their lords using foodstuffs by the warm land of Sicily mindful to the great Greek, Roman, Arab, Jewish, Norman and Spanish culinary traditions. To cook our dishes we use produce grown in our organic kitchen garden or produced on other local organic farms.